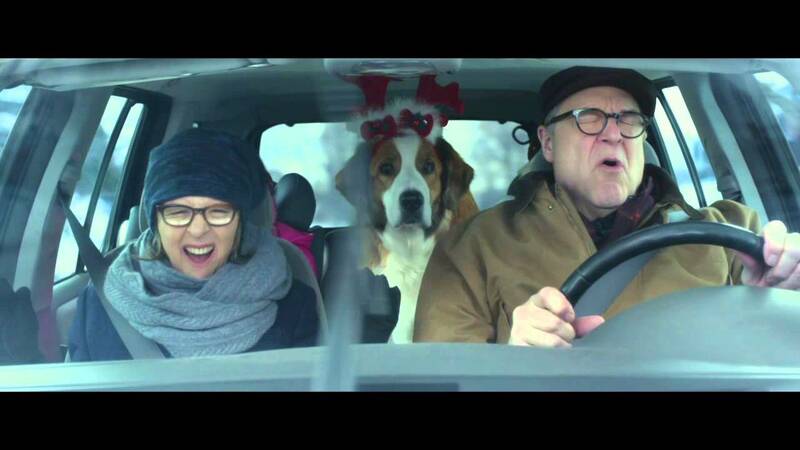 In “Love the Coopers” the dysfunctional family holiday movie gets big-name treatment. The results are exceedingly unlovely. It’s not just that director Jessie Nelson’s Christmas-themed comedy tries to shock us with raunch and cynicism before going all squishy soft in the last reel. Lots of pretty decent films (“Bad Santa,” “Home for the Holidays,” “The Family Stone”) have assumed the same trajectory. It’s that Steven Rogers’ screenplay is so blatantly unfeeling, cobbling together standard-issue ideas and characters for a sort of Pavlovian-inspired emotional release. “Love the Coopers” (the title invokes memories of the inexplicably beloved “Love, Actually,” and like that earlier film gives us several interlocking stories) takes place mostly in a picturesque suburb outside Pittsburgh PA. Here quaint homes, a steady snowfall and lush woodlands evoke a Norman Rockwell atmosphere. Emotionally, though, there is no peace in the valley. Several plots eventually meet around the Coopers’ dinner table. Daughter Eleanor Cooper (Olivia Wilde) is so reluctant to see the rest of her family that she settles into the airport bar for some fortification. There she meets Joe (Jake Lacy), a soldier on leave who is charming despite being a Republican. In an agonizing montage Eleanor and soldier boy engage in a comic ballet on an airport moving sidewalk. It is so gosh-awful “cute” theaters should lay in a supply of insulin. You know…that’s the one where Mel Gibson’s family is besieged in their farmhouse by space aliens? And they discover that little, inconsequential things they almost overlooked were in fact cosmic signs of how to beat the invasion? Jeff’s opening monologue in “Jeff Who Lives at Home” seems a mere toss-off, the idiotic ramblings of a navel-gazing stoner who hasn’t had a girlfriend since high school. But remember Jeff’s words. They’ll come back to us in yet another perfect moment. “Jeff Who Lives at Home” is a pleasantly meandering effort from the writing/directing Duplass Brothers. It’s funny and goofy. It also exhibits more genuine soul than any comedy since…well, since Bill Forsythe’s sublime “Local Hero” back in 1983.